The United Nations has found “deeply worrying” reports from Sudan that government forces have been using excessive force, including the use of tear gas and live ammunition, on protesters organizing against the regime of President Omar Al-Bashir, according to a release issued on Thursday. The demonstrations began on December 19 over rising bread prices and slowly exploded into anti-government protests demanding that Bashir, who has been in power since 1989 after staging a military coup, step down. 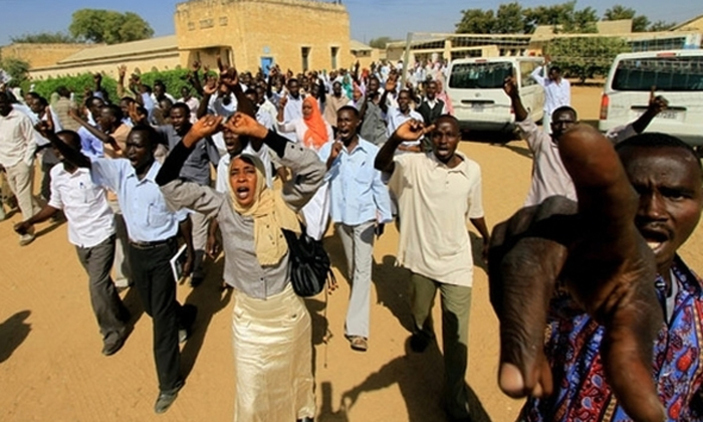 Protestors have organized in numerous cities across Sudan including Berber, Dongala, Port Sudan, and Wad Madani. Michelle Bachelet, the U.N. High Commissioner for Human Rights, urged the government of Sudan to protect the rights of their citizens to peacefully protest regardless of their political beliefs. According to government officials, at least 24 people have been killed, but reports from other groups such as Human Rights Watch suggests the death toll may be twice as high. Sudanese authorities have confirmed the arrest of at least 816 people in connection with the protests. Many of the arrested include journalists, political figures, and representatives of civil society. Sudan is a State party of the International Covenant on Civil and Political Rights, which means the government is obligated to respect the civil and political rights of their citizens including their right to assemble. The Republic of South Sudan, which gained independence from Sudan in 2011, is one of the poorest countries in the world where more than one-third of the population lacks access to food. Bachelet stressed that the U.N. is ready to deploy a team from the U.N. Human Rights Office into Sudan in order to advise authorities and ensure the government is following their human rights’ obligations. Bashir is currently wanted as a war criminal by the International Criminal Court for alleged crimes against humanity in Darfur. As Sudanese police fire tear gas at crowds of anti-government protesters in Khartoum and go after organizers calling for nationwide rallies against President Omar al-Bashir, media outlets in neighboring South Sudan have to fight for their right to cover the deadly unrest. Last week, the decision by the South Sudan Media Authority to issue a warning and threats to an independent newspaper Al-Watan sparked condemnation from members of the civil society and the South Sudan Editors Forum in Juba over what they call Sudan’s interference with the country’s media law.